Bury St Edmunds, Suffolk England UK spotted it at 6.am on June 17, 2017. In special reports, this week’s files cover: NASA’s Kepler Space Telescope Finds 4,034 Exoplanets, High Speed Space Ship Earth, UFOs and Dr .Claude Poher, ex Gepan Director, Confrontations in the North Atlantic, Star Wars, UFO and Moon Photos, President Reagan’s Diary, Reagan Star Wars Test Site, Fiery Cross Island, and Tiahuanaco Bolivia May Be the Oldest City. Unidentified Aerial Phenomena sightings were reported over Arizona, California, Colorado, Indiana, Kentucky, Louisiana, Maryland, Michigan, New Jersey, Pennsylvania, Texas, and Virginia. Unidentified Aerial Phenomena sightings were reported over Australia, Canada, Puerto Rico, Russia, Thailand, and England and Scotland in the United Kingdom. National UFO Center Annual Fund Drive. NASA has unveiled the complete set of data from the first four years of the agency’s Kepler Space Telescope mission, which stared at a single patch of the sky in the search for alien planets. The result: Kepler has discovered 219 new candidates since NASA’s last data unveiling, including 10 near-Earth-size planet candidates in the so-called habitable zone around their stars where the conditions are just right for liquid water to exist on a planet’s surface — a key feature in the search for habitable worlds. The new discoveries boost Kepler’s total to 4,034 candidate planets during its mission, 2,335 of which were later confirmed by follow-up observations, NASA officials said in a statement. The 10 newfound potentially Earth-size worlds bring Kepler’s total up to 50 of that type of exoplanet, with more than 30 of those being confirmed, NASA officials said during a briefing today (June 19). Hold onto your chair Earth is a space ship orbiting the Sun at the speed of 108,000 km/h. 69,000 mph. The planet travels 940 million km during one orbit. The Earth completes one orbit every 365.242199 mean solar days (that might help explain the need for a leap year). The planet’s distance from the Sun varies as it orbits. Actually, the Earth is never the same distance from the Sun from day to day. When the Earth is closest to the Sun it is said to be at perihelion. This occurs around January 3rd at a distance of 147,098,074 km. When it is at its furthest distance from the Sun, Earth is said to be at aphelion. That happens around July 4th at a distance of 152,097,701 km. That’s not all, our wonderful Earth is now moving in six different directions with a combined speed of approximately 574,585 MPH, Moving at 69,361 MPH in Spin and Orbit, and 43,200 MPH towards the Lambda Herculis Constellation. And 15,624 MPH Solar system moving Perpendicular to Galactic Plane shown in the image, plus 446,400 MPH orbiting the Galactic Center for the Galactic Spin Rate. We are moving at 574,585 MPH total speed of Earth within our Galaxy. “Taking into account the facts that we have gathered from the observers and from the location of their observations, we concluded that there generally can be said to be a material phenomenon behind the observations. In 60% of the cases reported here, the description of this phenomenon is apparently one of a flying machine whose origin, modes of lifting and/or propulsion are totally outside our knowledge. Dr. Claude Poher, Ph.D. in astronomy, founder and first director of GEPAN, the UFO investigative office under the French government’s National Center for Space Sciences which analyzed reports from the Gendarmerie from 1974 through 1978, writing in the GEPAN Report to the Scientific Committee, June, 1978, Vol. 1, Chapter 4. At 7.30pm on Monday, 12 February 1996, I received a ship-to-shore telephone call from a fishing vessel in the Denmark Straight, off the West Coast of Iceland. The caller told me that a huge triangular craft had appeared and was hovering low in the sky close to his boat. At that precise moment the transmission was cut off. Approximately fifteen minutes later the caller rang again to say that all electronics on the ship had suddenly failed. He told me that he and the rest of the crew had seen the triangular object move away from the boat then suddenly descend into the sea. The moment it had disappeared all electronic power was restored. At 9.00pm on Sunday, 18 February 1996, a further call was received from the boats at sea. On this occasion the caller told me that the whole crew was terrified because three huge black triangular objects, accompanied by three independent red balls of light, had come out of the sea and were hovering silently in the air close to their boats. I asked if the balls of light were connected to the triangles and he said, “No they are totally separate and independent”. The caller was asked if the triangles were showing on the ships Radar. He replied, “No the Radar is not picking them up, the whole crew is standing on the deck watching them.” Were the objects close to the boat? “Yes, they are hovering near the port bow, we’re all scared”. Asked if he could hear any sound coming from the objects, he replied, “No there’s no sound coming from them”. Were there any lights on the triangles? “Yes there are small lights on different parts of them.” He then said, “The whole crew is out on deck watching them”. Suddenly the transmission was lost and the phone went dead. A short time later the connection was restored and the voice at the other end said, “The objects have now gone, they all descended and went down into the sea”. At 3 am. On Monday, 19th February, 1996 a call was received in the middle of the night, from a fishing boat at sea, off the coast of Iceland. The caller said, “We have just been watching a gigantic sphere, hovering in the air, not very far from our boats. It slowly moved away from us and then descended and disappeared into the sea. We have no idea what it was.” An hour later the telephone was ringing again and once again the message was from the fishing boat. “There are now large florescent tubes like objects hovering in the air close to our position; they are a blue color and not making a sound. All these strange things are making the crew very frightened, we don’t like all this”. At 10.55pm. On Tuesday, 23rd. April, 1996, a further telephone call was received from a ship which was fishing 200 miles South West of the coast of Iceland. The caller said, “You are not going to believe what we have just seen. We were fishing fairly close to a group of American Warships and suddenly there was a blinding flash of light and one of the warships just disappeared in front of our eyes. I know it sounds crazy, but I can assure you it happened a short time ago. Soon after this an American boat came over to us an ordered us and other fishing boats to leave the area immediately. Our Captain didn’t need any telling, he told us to get our boat out of the area as quickly as possible and to return to our base in Iceland. We are now making our way back. The incident has upset us all, particularly the Captain, he has retired to his cabin with a bottle of whisky”. On Sunday, 19 January 1997, a large number of UFO-related events occurred off the south coast of Iceland. Reports were received of large numbers of UFOs gathering over the sea. I can assure readers that these reports were coming from ships at sea, witnesses on the ground and from airline pilots. On Monday, 20 January 1997, airliners attempting to land and depart from Keflavik Airport were delayed because UFOs were seen flying in civilian air corridors. Only when the UFOs had departed were things returned to normal. Recent information from our Spanish contacts reveal that their fishermen have also reported seeing huge craft and other objects coming out of the sea off the coast of Iberia. For over ten years now John Lenard Walson has shared his uniquely close-up footage and images of our Moon and other celestial bodies in orbit around Earth: John writes, ‘I have so much more that I have not told anyone yet, I have very specially made UV spectrum telescopes and UV real cameras with very amazing footage. I would really like to share my telescope inventions in a TV show to use me equipment to solve famous historical ufo or Sky space based events. UFO flies at air show in Goodwood, West Sussex on September 5, 2003 at the annual Goodwood Festival and Revival. Goodwood is located 60 miles from London. All images c.2003-2008 John Lenard Walson. Here is an interesting shot of a structure with an opening on the Moon It is thought space ships enter their base at this point. Department of Astronomy – Harvard University have sent me confirmation that my space footage is real and I am not the only one to film it and they even tell me who the first person in the USA is to film the same space footage as me. Note: John has given Filer’s Files permission to show his excellent images. Below is a possible space ship taken by John that President Reagan refers to. Note: This would indicate a space ship at least as large as a 747 aircraft that is 250 feet long. It is likely much bigger to accommodate sleeping quarters, kitchen facilities, bathrooms, storage radar and weapons. The now grounded Space Shuttle held a maximum of eight people and even if all five took off fully loaded it would be impossible to put 300 astronauts in orbit. Apparently President Reagan revealed the existence of a highly classified space program that could accommodate hundreds of astronauts in orbit? The Reagan Test Site (RTS), as it is known today, is the United States’ premier missile range. 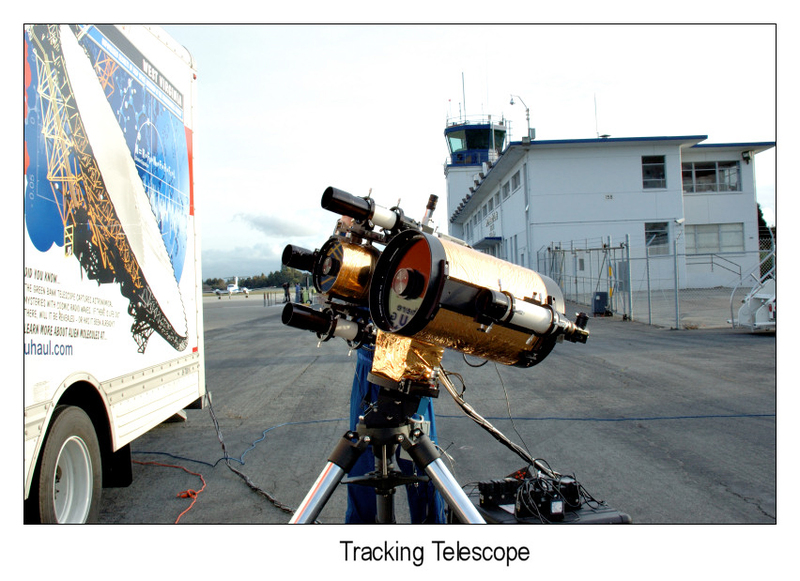 Located on Kwajalein Atoll in the Pacific, RTS has played a major role during the past 50 years in intercontinental ballistic missile (ICBM) testing, missile defense development and testing, space-object tracking and, sensor technology development, and scientific research. MIT Lincoln Laboratory has filled the technical leadership role since 1962 when the first instrumentation radar, Target Resolution and Discrimination Experiment (TRADEX), became operational. The year 2012 marks 50 years of operation of TRADEX and 50 years of continuous presence and service of Lincoln Laboratory at Kwajalein. During those 50 years, the Laboratory has been responsible for keeping the RTS instrumentation at state-of-the-art levels by continuously developing and inserting advanced technology. The Air, Missile, & Maritime Defense Technology mission area develops integrated systems for defense against ballistic missiles, cruise missiles, and air vehicles in tactical, strategic, and homeland defense applications. Thanks to MIT. A year ago Fiery Cross Island didn’t exist but dozens of ships and dredges have built six islands. China’s militarization of artificial islands in the South China Sea is worsening tensions in an already highly disputed region. The islands expand China’s military bases and are located in an oil rich area. Paul Stonehill writes The Marianna Trench not too far away contains the deepest known points on Earth…and most likely, intelligent life. This is my research, from the Russian sources, to U.S. Navy’s declassified documents…to observations and secret scientific global research. Mariana Trench East of the Philippines is a mystery, and enigma of the Pacific Ocean waiting to be solved. Nearby the Akapana pyramid is the Kalasasaya compound, a structure whose design and celestial alignment suggests a great antiquity for Tiahuanaco. Arthur Posnansky, a German-Bolivian scholar, exhaustively studied Tiwanakufor almost fifty years. Posnansky conducted precise surveys of all the principal structures of Tiahuanaco, including the Kalasasaya compound, which is delineated by a series of vertical stone pillars. Utilizing his measurements of sight lines along these pillars, the celestial orientation of the Kalasasaya, and its purposely-intended deviations from the cardinal points, Posnansky was able to show the alignment of the structure was based upon an astronomical principle called the obliquity of the ecliptic. His findings strongly suggest that its initial construction was around 15,000 BC, and this date was later confirmed by a team of four astronomers from various universities in Germany. Equally astonishing, the spatial arrangement of Tiahuanaco’s four main structures — relative to one another and to the stars above — indicates that the initial site engineers had an advanced knowledge of astronomy, geomancy and mathematics. Adding to this mystery are the ancient myths of Tiwanaku which tell of its founding and use in a time before great floods. Scientific research has proved that a cataclysmic flood did indeed occur some 12,000 years ago. Mixed in with the deepest layers of flood alluvia at Tiwanaku are human bones, utensils and tools, showing human use of the site prior to the great flood. There is also the intriguing enigma of the strange carvings of bearded, non-Andean people that are found around the site, replete with sculptural and iconographic details which are unique in the western hemisphere. All of this evidence seems to indicate that the original Tiwanaku civilization flourished many thousands of years before the period assumed by conventional archaeologists. Rather than rising and falling during the two millennia around the time of Christ, Tiwanaku may have existed during a vastly older period, some 17,000 years ago. The implications of this are truly stunning. Tiwanaku may be, along with Teotihuacan in Mexico, Baalbek in Lebanon, and the Great Pyramid in Egypt, a surviving fragment of a long lost civilization. [Perhaps the oldest city on Earth. NASA Satellite data measuring temperature for the last 18 years has shown no warming on Earth. Climate always changes and has for millions of years. We are presently coming out of last Ice Age. May 2017 saw a total of 624 UFO sightings reported to MUFON from around the world. US 470, UK 38, Canada 35, India 8, Portugal 7, and Peru 6. Sedona — I was taking continuous photos of Courthouse Monument in Big Park, at dusk on June 16, 2017. The red was so beautiful I just kept taking pictures. Montrose — We were on our front deck watching the sunset and sky when my husband saw bright lights coming from the west on June 21, 2017. I ran into the house to get my phone and my husband ran into the house to get his Canon camera we took pictures of the 1st one, I took video with my phone while he took still pictures a second one came from the same direction we have pictures and video, best description as a Phoenix or Angelic form. Body long silver jet type or cylinder, with a possible nose pointing downward. Wings that were curved upward 80 degrees towards atmosphere that were fiery orange very bright and a triangular transparent veil that looked translucent seemingly hanging off left wing with bright orbs, we are not sure if it circled our city twice or there were 2 one following the other. It was cloudy and they both flew northeast into the clouds but not together. Laurel –My friend was in there car driving saw a mega structure in the clouds on June 20, 2017. Philadelphia — I was sitting on my porch sound 10:20 pm when I saw two strange lights that were stationary – weren’t moving. I began videotaping then one appeared to move a little. I decided to move to a clearing down the street and realized there were three of the lights and started filming again. The one furthest to the right appeared to start moving to up and to the right. I managed to get a short video from beneath this object but I sort of fumbled at first and took a picture instead of recording video. Glen Innes — My mother went to bed on June 22, 2017, and her bed faces a large window that opens out onto farm land. She called me in saying “There is a UFO!” I went into her room and I could see all the stars in our rural area sky but one was a very bright star much lower than the other stars. My mum was saying it was moving and I was laughing and I made her point out exactly where it was. But then I saw it move – it moved very abruptly about 1cm in the sky, then it kind of hovered and then moved again in the same manner. This went on for quite a long time. The star was extremely bright and behaving in this very strange way, I have never seen anything like it. I am not sure if it was a UFO, but I though you should know because it was a very strange thing to see and my mother and I saw the same thing. At about quarter mile away just northwest at about 3:17 pm, I spotted a brilliant white glowing roundish UFO. The pictures are on near full zoom – thanks to the surrounding clouds. You see a small dome on the top. I started to film – mostly pictures on a high zoom as it was almost directly above me stationary. It had an intense glow that at times would increase or decrease. At least 58 people died in the fire. Bury St Edmunds –spotted it at 6.am in uk Suffolk in June 17, 2017. I had a camera handy so I took pictures. Aberdeen – I was out hill walking and saw an interesting sky with the sun shining through the clouds so I took some photos. There were no orbs or objects visible to the naked eye at the time, I only saw them upon viewing the photos later on. If we say the silhouette in the middle is like a dove created by the sun’s rays, my finger in the middle is blocking the lens from over exposing. IMG 0683 – look above my finger 3/4 ways up to see a cylindrical object. Track to the right hand corner and you see another one. In the middle, bottom right, lower left you can see objects like in image 0683. Now if you look at let’s call it the doves head, the wing and also when zoomed in you can see more of these small white cylindrical type objects all around the silhouette.